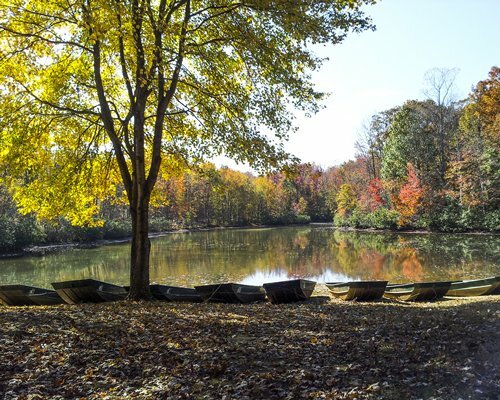 Wilderness Presidential is a privately owned resort resting on 621 beautiful acres of prime Virginia geography. 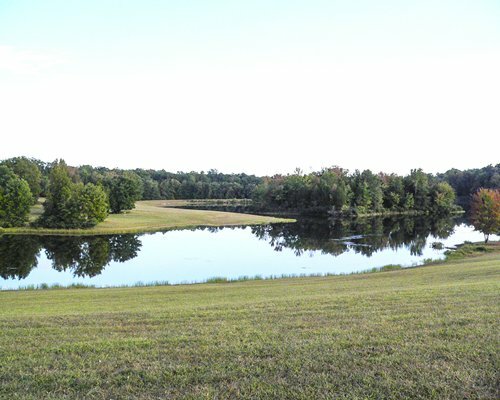 It is surrounded by battlefields and is located right across the street from Chancellorsville Battlefield. 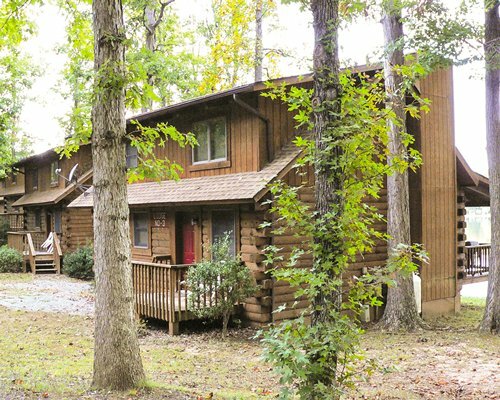 The property encompasses Hazel Grove and Cool Springs Lakes, both great places for fishing and fresh water activities. 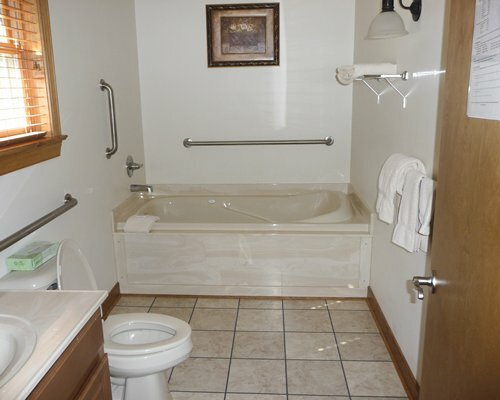 Also on site are three pools, tennis courts, exercise equipment, a game room and a playground. 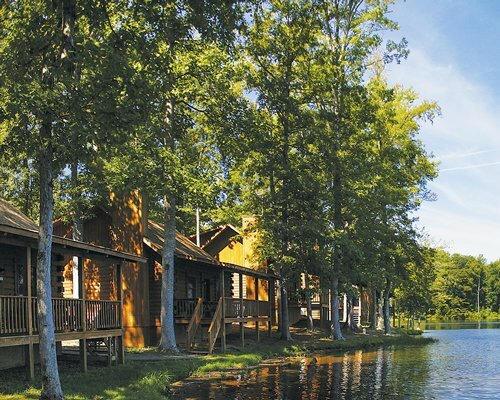 A family-oriented resort that rests on over 600 acres of beautiful forests and waterways in Spotsylvania, Virginia. 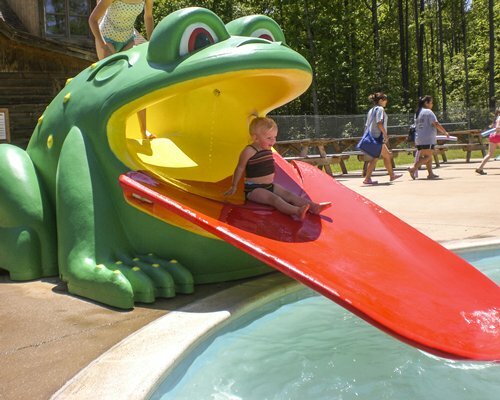 Guests of the resort can enjoy the on-site indoor and outdoor pool, Zip-line, Rock Climbing and fun weekly planned activities. 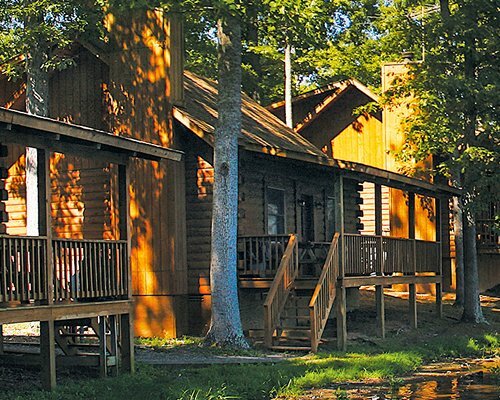 The cabins at Wilderness Presidential are self-contained vacation hideaways with all the comforts of home. 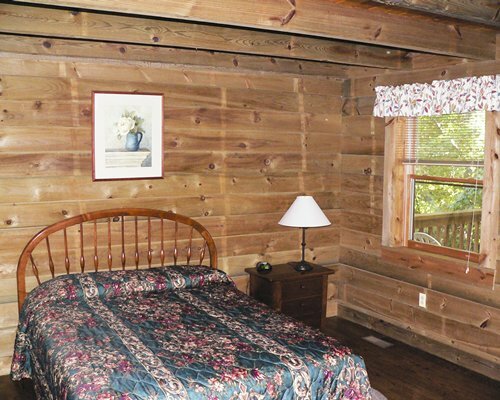 They sleep six and offer a rustic fireplace, full kitchen, whirlpool/hot tub, air conditioning, dishwasher and microwave. There's even a rocking chair on the front porch. 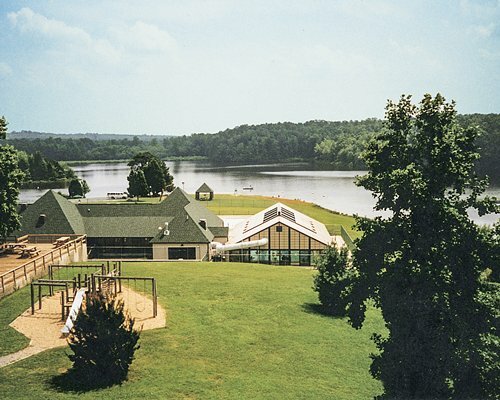 Northern Virginia is rich with Civil War history and this resort is surrounded by battlefields. Washington D.C. is just an hour's drive away, and many tours are available. Less than an hour away is Paramounts Kings Dominion, an all-day amusement center with everything from rollercoasters to water-parks. 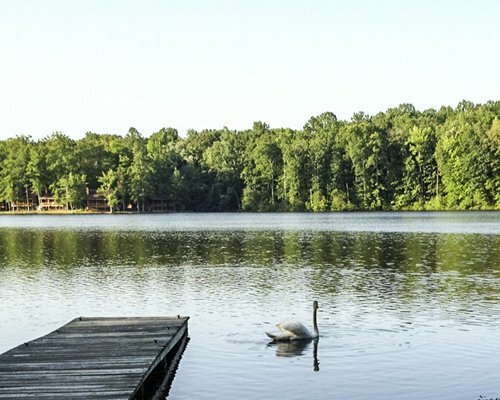 The area is an outdoor wonderland with lakes to fish, paths to bike, and trails to hike. The closest airport is National Airport, located in Washington D.C., approximately 58 miles away. From the airport go South on I-95 for 47 miles and take exit #130b onto Route 3. Follow Route 3 west 9 miles until you see the Wilderness/Presidential signs located on the left hand side of the road. 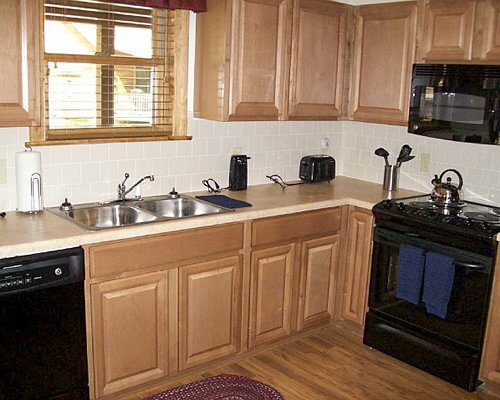 "For all RCI points reservations: There may be a 32 U.S. dollars for 2 Bedroom units, per stay. " For 2014 reservations. Fee will increase to $50 in 2015. "Housekeeping fee for all RCI points reservations: There may be a fee of 89.00 U.S. dollars for all units, per stay. Cash or Credit is accepted."